The court denied without prejudice plaintiff's motion to compel the production of additional source code because of a potential protective order violation by its expert. "[Plaintiff] disclosed that the testifying expert was able to identify the purported incompleteness because he had previously been given access to the source code when working in other cases as an expert witness, apparently for parties adverse to [defendant]. In that other litigation, there were presumably protective orders and/or agreements in place limiting use in other cases of information obtained about [defendant's] confidential information, just as the protective order in this case imposes such limitations. The testifying expert’s reliance on confidential information of [defendant's] obtained in other cases therefore presents several questions requiring further elucidation. . . ."
How Many Petitions for Inter Partes Review Have Less Than All Challenged Claims Granted? "Does 35 U.S.C. § 318(a), which provides that the Patent Trial and Appeal Board in an inter partes review 'shall issue a final written decision with respect to the patentability of any patent claim challenged by the petitioner,' require that Board to issue a final written decision as to every claim challenged by the petitioner, or does it allow that Board to issue a final written decision with respect to the patentability of only some of the patent claims challenged by the petitioner, as the Federal Circuit held?" As a percentage of total decisions, partial institutions have decreased each year since the AIA was enacted. Denials of all challenged claims (the red portions of the chart) are at an all-time high as a percentage of total institution decisions for each year. The court granted plaintiff's motion to exclude the testimony of defendant's damages expert regarding two prior licenses that the parties entered into under the HDMI standard as unreliable for failing to address the economic differences between the licenses and the hypothetical license-in-suit. "[Plaintiff] highlights the fact that [defendant] concedes that the HDMI standards setting organization 'imposes a patent non-assertion covenant and reserves the right to establish royalty fees.' While the Court declines to determine whether or not the HDMI licenses are subject to RAND obligations, the Court is persuaded that the economic differences between the HDMI licenses and the hypothetical license in suit (due to the fact that the HDMI licenses are standard-essential) are such that [defendant's expert] should have accounted for them. Failure to do so warrants exclusion." The court denied plaintiff's motion to strike portions of the report of defendant's invalidity expert that included a previously undisclosed theory of unpatentability under 35 U.S.C. § 101, but reserved ruling on whether defendant waived that defense until trial. "[U]nlike some other districts’ Patent Rules, this district’s Patent Rules do not require a party to disclose an invalidity ground related to subject matter ineligibility under § 101. And because [the expert's] report does not identify any new factual basis for [defendant's] § 101 theory, no discovery violation has occurred. . . . Having said that, it is not clear why [plaintiff] has moved to 'strike' a portion of an expert report related to § 101 when both sides agree that invalidity under § 101 is not a jury issue. . . . Nor is it clear how [defendant] intends to raise its new § 101 invalidity theory when the time for filing motions for summary judgment has passed. If [defendant] intends to raise the theory for the first time during the JMOL phase of the case, the Court will address any waiver argument at that time." ​ The court denied defendant's motion for summary judgment on the ground that plaintiff’s encryption patents encompassed unpatentable subject matter because the asserted claims were not directed toward an abstract idea. "Plaintiff has adequately pleaded in this case that the patents create a solution to a computer-centric problem which is not addressed by the prior art. Despite Defendant's assertions, the claims are not reducible to putting a sealed envelope (single-level encryption) into a second sealed envelope (multi-level encryption) for extra security. Rather, the claims provide a specific solution to implementing the multiple levels of nested security through the 'object oriented key manager.' They offer a solution to a problem, multiple users in multiple locations accessing information at different security levels from a central repository, which would not exist but for the ubiquity of computer technology." Following the recent Supreme Court decision in TC Heartland, the court sua sponte ordered the parties to brief whether venue of plaintiffs' patent infringement action was proper. "In light of the recent United State Supreme Court case, TC Heartland LLC.v Kraft Foods Group Brands LLC (May 22, 2017), the parties are directed to brief whether venue is proper in this district. . . . The hearing set [in two weeks on defendant's motion for summary judgment of invalidity] is vacated and will be reset, if necessary, after resolution of the venue question." The court granted defendant's motion to strike the opinions of plaintiff's damages expert that defendant engaged in tax evasion and avoidance as unduly prejudicial under FRE 403. "[Plaintiff's expert] has offered opinions that [defendant] 'has structured its organization and business operations in an effort to attempt to avoid U.S. income taxes and reduce the contribution it makes to the U.S. Treasury.'. . . [Plaintiff] argues that [defendant's] taxation strategy rebuts [its] position that its sales occur outside of the United States. . . . The motivation of [defendant's] business model is not the issue. Plaintiff is free to discuss the way [defendant] conducts its business without getting into the tax consequences of those actions. The Court finds that any slight probative value of discussing [defendant's] taxation strategy at trial would be substantially outweighed by unfair prejudice to [defendant]." The court granted plaintiffs' motion to dismiss because the asserted claims of defendant's parking enforcement patents encompassed unpatentable subject matter and found that the claims were directed toward an abstract idea. "[T]he [asserted patents] generally describe a method of parking violation enforcement via a self-release booting system which enables the person responsible for a vehicle to remove an immobilizing boot without waiting for an enforcement company or municipal employee to arrive on the scene. . . . [T]he [patents] are directed to the abstract idea of expediting the vehicle immobilization process via self-service. . . . [W]hile the . . . patent claims feature other, specific limitations and requirements, such as the use of RFID receivers and the need for a 'remote computer system' or PDA to identify vehicles and communicate their scofflaw status to a centralized host system, none are directed to a technological improvement in how each component works, or in how the use of each component promotes a technological advance. . . . The streamlining of a tedious process may be a welcome improvement, but it is, at its heart, an abstract one: a way of more efficiently 'organizing human activity.'" The magistrate judge recommended denying defendant's motion for summary judgment that sales of its accused semiconductor products did not occur within the United States even though the products were "ordered, manufactured, shipped, billed, and delivered to buyers abroad." "[Defendant] designs and develops semiconductor chips domestically, but outsources the task of fabricating them to foundries in Asia. . . . [S]ummary judgment is proper only if the movant can demonstrate that, after viewing all facts in favor of non-movant, no reasonable juror could find that no substantial activities of a sales transaction occurred inside the United States. . . . A reasonable jury could find that many substantial activities relating to sales transactions occurred within the United States based on at least the fact that: . . . [T]he overwhelming majority of Defendants’ design, development, marketing and sales activities occur in the United States. . . . [Agreements] entered into in the United States govern the terms of purchase orders entered into outside the United States . . . Purchase orders entered into overseas may be processed and maintained by [defendant's[ domestic sales team . . . U.S. sales teams provide support to Defendants’ U.S. customers, and [defendant] categorizes its sales information and activity for internal purposes based on the location of end customers. . . . Defendants track sales commissions for sales of products made overseas as if they were domestic sales. . . . [Defendant uses products manufactured overseas to] determine sales force compensation." The court denied plaintiffs' motion to strike the expert disclosure of a defendant's employee because plaintiffs did not attempt to resolve the issue as a discovery matter. "While [defendant's vice President of Engineering] certainly appears to have direct and personal knowledge of some of the facts in the case, the opinions offered in his Disclosure fall in the realm of expert opinions subject to Rule 26(a)(2)(B). . . . Despite being aware of possible Rule 26 violations [3 months ago], Plaintiffs do not appear to have made any effort to obtain a written report through conference with Defendants or by bringing the matter to [the magistrate judge]. Instead, they waited nearly five weeks to file their Motion and raise these issues for the first time. Had they timely raised the issue when they learned of it at deposition -- and before the close of discovery [2 1/2 months ago] -- they might have been able to obtain an expert report and conduct additional investigation or depositions. Plaintiffs may not delay in challenging a Rule 26 violation and then seek the most extreme of sanctions in a Daubert motion filed after the proper time for challenging discovery violations has expired." The court granted defendant's motion to strike plaintiff's supplemental interrogatory response and precluded plaintiff from asserting a conception date at trial earlier than the date disclosed in its preliminary infringement contentions. "[Plaintiff] had to disclose a specific date of conception and produce documentary evidence of that conception date in its Patent Local Rule disclosures. . . . [A]lthough [plaintiff] may have disclosed its proposed conception date in time for [defendant] to conduct discovery, that does not cure any prejudice resulting from [plaintiff's] failure to follow the local rules that 'require patent holders to ‘crystallize their theories of the case early in the litigation’ . . . . This poses a minimal burden for a patent holder, who should already know the conception date of a patented invention prior to commencing litigation.'. . . To the extent that [plaintiff] altered its conception date and evidence based on discovery, it had to amend its Rule 3 disclosures to include those changes. Because [plaintiff] did not do so, it cannot argue an earlier conception date than [its originally disclosed date], with respect to [defendant's] prior art." The court granted plaintiff's motion to clarify an earlier order concerning the meaning of "ground for invalidity" for purposes of post-IPR estoppel under 35 U.S.C. § 315(e), but deferred ruling on whether defendant was estopped from asserting a specific theory on invalidity. "[Plaintiff] essentially asks the court to explain what a 'ground for invalidity' is. . . . [T]he defendant is not locked into the precise argument made in its IPR petition. But if the new theory relies on different, uncited portions of the prior art, attacks different claim limitations, or relies on substantially different claim constructions, then the new theory is tantamount to a new invalidity ground, and the court will treat it like a non-petitioned ground subject to estoppel. . . . At this point in the case, I cannot tell who, if anyone, is playing fast and loose with the meaning of [a claim term]. But it hardly seems fair to restrict [defendant] to the claim construction used in the IPR, if [plaintiff] is free to re-tool its infringement case with new claim constructions, as [plaintiff] suggests that it is free to do. I will defer a decision on whether these principles would estop [defendant] from contending that claim 6 is anticipated by Keeler under the alternative interpretation of [the claim term]. The parties are free to argue the § 315(e) estoppel issue at summary judgment." ​ The ALJ granted complainant's motion to compel respondent to produce documents regarding unreleased products and prototypes expected to be imported before the conclusion of the evidentiary hearing. "The Commission routinely grants discovery with respect to future products. [Respondent] contends that it should be the exception to this rule, as [it] 'takes significant measures in an effort to maintain absolute secrecy over the details of its unreleased products under development.' As the undersigned has previously noted, however, [respondent] is not unique in wanting to preserve the confidentiality of its unannounced products. Additionally, a party is not permitted to unilaterally withhold discovery due to confidentiality concerns. The proper procedure for addressing such concerns is through a motion for a protective order. Notably, [respondent] has not made such a motion here." The magistrate judge recommended partially granting plaintiff's motion for summary judgment that IPR estoppel barred defendant from asserting certain "subsets" of prior art groups previously asserted as unpatentability grounds in the IPR. 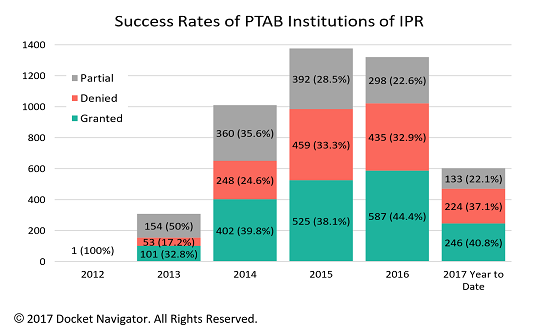 "[T]he PTAB instituted IPR . . . under § 103(a) based on the combination of Kenoyer, Briere, and Hurley. [Defendant] should be estopped from asserting Kenoyer and Briere as a basis for obviousness at trial because [defendant] raised or could have raised this combination during IPR proceedings. Similarly, [defendant] should be estopped from asserting Kenoyer alone . . . because Kenoyer is a subset of Kenoyer, Briere, and Hurley. This portion of the recommendation, however, extends only to subsets of invalidity grounds that [defendant] raised or reasonably could have raised during IPR proceedings." The magistrate judge recommended partially granting plaintiff's motion for summary judgment that IPR estoppel barred defendant from asserting certain prior art references and rejected the argument that IPR estoppel applied only to defenses raised after IPR institution. "The Court recommends adopting the narrow view of [Shaw Industries Group, Inc. v. Automated Creel Systems, Inc., 817 F.3d 1293 (Fed. Cir. 2016), cert. denied, (U.S. Oct. 31, 2016)] and [HP Inc. v. MPHJ Technology Inv., LLC, 817 F.3d 1339 (Fed. Cir. 2016)]. Namely, the Court reads Shaw and HP to exempt an IPR petitioner from § 315(e)'s estoppel provision only if the PTAB precludes the petitioner from raising a ground during the IPR proceeding for purely procedural reasons, such as redundancy. . . . Section 315(e) estops [defendant] from asserting at trial: (1) grounds for which the PTAB instituted IPR and determined those grounds to be insufficient to establish unpatentability after a trial on the merits; (2) grounds included in a petition but determined by the PTAB to not establish a reasonable likelihood of unpatentability (in other words, administrative review on the merits of a ground); and (3) grounds not included in a petition that a 'skilled searcher conducting a diligent search reasonably could have been expected to discover.' . . . [Defendant] is not estopped from asserting grounds included in a petition but which the PTAB found redundant or declined to institute review for another procedural reason." The magistrate judge recommended Rule 11 sanctions against plaintiff for costs and fees incurred after defendant filed a motion to dismiss with declarations showing it "does not make, sell, offer to sell, or import any of the accused [products]." "[W]hile it is not clear that [plaintiff] undertook a proper investigation before filing suit against [defendant], [plaintiff's] conduct became objectively unreasonable at the filing of their opposition to [defendant's] Motion to Dismiss. . . . While [plaintiff] admits the question of liability was unclear at the time of filing, this relationship became abundantly clear at the filing of [defendant's] Motion to Dismiss with supporting declarations. . . . Tellingly, [plaintiff] decided shortly after the filing of its response to file suit against [defendant's licensee] [two months ago], but did not dismiss its claims against [defendant]. . . . [Plaintiff] did not reach out or file a stipulation of dismissal upon receipt and review of [defendant's] Motion and only attempted to file such a dismissal after it knew the Court was considering sanctions. . . . [T]his filing by [plaintiff] was simply too late to absolve [it] of its unreasonable conduct in pursuing opposition to [defendant's] Motion. . . . Instead, [plaintiff] continued to pursue its claims at the expense of the Court and the parties. The Court finds that this conduct warrants sanctions under Rule 11." The court denied defendant's motion to dismiss plaintiffs' declaratory relief action and rejected defendant's argument that its lawsuit against plaintiffs' customer was insufficient to create an actual controversy with plaintiffs. "[Defendant's] litigation against [plaintiffs' customer] was an affirmative act by [defendant] to enforce its patent rights against alleged infringement by [plaintiffs'] Tree. . . . Its claim charts referred only to [plaintiffs'] trees and explained how [defendant] believed [plaintiffs'] trees met each and every claim of [defendant's] patents. . . . [Defendant] argues that a lawsuit against a manufacturer’s customer is not sufficient for Article III standing. . . . As [defendant] admits, its claims against [the customer] were based solely on its selling [plaintiffs'] Trees, something [a plaintiff] itself did. Unlike [other cases cited by defendant], [defendant's] infringement claims against [the customer], based on its sales of [plaintiffs'] trees, necessarily demonstrate a case or controversy with [plaintiffs]." The court denied plaintiff's motion to supplement its damages expert's report to address a recent $9.1 million jury verdict against a consolidated defendant because that judgment was not yet final and a reliable data point. "[T]o date, the Court has yet to enter final judgment in the [consolidated] case. [Plaintiff] and [the consolidated] are currently participating in post-trial motion practice in accordance with the Court’s Order setting the post-trial briefing schedule. . . . [U]ntil a final judgment exists and motions under Rules 50(b) and 59 have been considered, the jury’s verdict is not fixed and remains subject to multiple avenues of attack. It further goes (almost without saying) that after this lengthy process results in a final judgment entered by this Court, the resulting judgment is then subject to appeal. In short, the verdict in the [consolidated] case is a long way from being an established and reliable data point that could properly be urged by [plaintiff] in its upcoming trial against [these defendants]." ​ The court granted plaintiff's motion to preclude defendant from presenting evidence that a component of a previously disclosed prior art reference invalidated the patent-in-suit because of the undue prejudice to plaintiff. 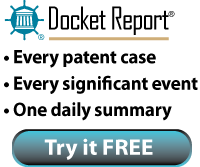 "While [defendant] may argue that [previously disclosed reference] anticipates the patent-in-suit, it does not follow that [defendant] can argue that [the component] alone anticipates or renders obvious the patent-in-suit even though [the component] is a component of [the previously disclosed reference]. [Defendant] should have specifically disclosed in its invalidity contentions its intention to argue that [the component] alone anticipates or renders obvious the patent-in-suit. . . . There is substantial prejudice to Plaintiff from [defendant's] late disclosure because [plaintiff's] expert has not assessed [the component] as potentially invalidating art and [plaintiff] is prevented fact discovery or deposing [defendant's] expert on this issue." The court denied defendant's motion for judgment on the pleadings that plaintiffs’ patent for efficiently monitoring and transmitting patient data encompassed unpatentable subject matter because the asserted claims did not lack an inventive concept. "Claim 9 does not introduce the concept of remote patient monitoring, but it purports to improve upon prior art in the mobile cardiac elemetry field by taking advantage of 'a communications device which selectively establishes a communications link between the remote monitoring unit and the central unit.' In so doing, Claim 9 purports to 'adopt a new data transfer architecture with improved selectivity of data transmission but retention of the data accumulation capability to build the patient history and also the emergency capability to assist the patient on an urgent basis when needed.' . . . Claim 9 purports to improve upon the previous technology, which did not allow for selectivity in determining the data set that would be transmitted to the central unit. . . . [T]he patent is 'more than a drafting effort to monopolize the [abstract idea].' Therefore, when read as an ordered combination, the court cannot determine as a matter of law that Claim 9 lacks an inventive concept." The court granted defendant's motion to dismiss because the asserted claims of plaintiff’s 3D camera exposure patent encompassed unpatentable subject matter. "A patent claim that recites a solution to a problem but not the means of achieving it is not drawn to patent-eligible subject matter. It is drawn to an abstraction. . . . Claim 1 of the [patent] is this kind of claim. The claim's preamble recites the technological context of the invention and its end goal; the first element restates the technological context; and the second element restates the end goal. The method of optimizing exposure on a structured-light 3D camera – the how that's nominally the subject of the claimed invention – is absent. . . . Describing the function of the prior-art cameras situates the claimed invention in the technological environment in which it operates, but it doesn't explain the invention itself. . . . By all appearances . . . the only effect of the word 'using' is to disclose the starting point of a method the claim doesn't explain: 'Using' two images, you get an optimal exposure. 'Using' certain inputs, you get a certain result. This is not enough to make claim 1 concrete. A claim cannot recite inputs and end result, then claim everything in between." The court denied defendant's motion to strike portions of the report of plaintiff's technical expert that contained previously undisclosed infringement theories. "[Plaintiff] has pointed to words, sentences, and figures in its contentions that support [its expert's] theories. Although in context, [plaintiff's] contentions may have led [defendant] to assume that [plaintiff] was identifying a particular aspect of the [accused] product, [defendant] did not seek assurances that this was actually the case. . . . It was incumbent on [defendant] to seek clarification, through written discovery, the meet and confer process, or motion practice, on any infringement contention that was slightly vague or unclear, particularly as the case progressed. Plaintiff has raised plausible arguments that its contentions support [the expert's] infringement opinions. . . . The fact that [defendant] had a full opportunity to respond to [the expert's] theories, both through expert report and deposition, also weighs against exclusion of his opinions." ​ The court granted plaintiff's motion to exclude the testimony of defendant's damages expert regarding litigation funding agreements as irrelevant to the hypothetical negotiation analysis. "These agreements are not patent licensing agreements and are not otherwise relevant to the hypothetical negotiation between the parties. The best that can be said about litigation funding agreements is that they are informed gambling on the outcome of litigation. They are so far removed from the hypothetical negotiation that they have no relevance. I further note that if they were determined to have some marginal relevance, that I would exclude them under Rule 403 as their probative value is more than substantially outweighed by the danger of unfair prejudice to [plaintiff] and of confusing the issues, as their introduction would just invite a sideshow on the economics of patent litigation." The court granted defendant's motion for summary judgment of noninfringement of plaintiff's strawberry plant patents as to defendant’s breeding activities conducted in Spain. "[Defendant] imports into the United States the seeds developed from the breeding activities in Spain. [Defendant] germinates and grows these seeds alongside [plaintiff]-patented plants . . . 'as a point of comparison,' to evaluate the performance of the seedlings it is developing. . . . [Plaintiff] argues that the 'situs of infringement' is actually domestic because control over the breeding activities was exercised in the United States and [defendant] receives the benefit of its infringing use here. But the control-and-benefit test on which [plaintiff] relies applies to system patents. . . . [Plaintiff] has provided no justification or case law to support the application of [the control-and-benefit test discussed in NTP, Inc. v. Research in Motion, Ltd., 418 F.3d 1282, 1316-17 (Fed. Cir. 2005)] to the plant patents at issue in this case. The more logical 'situs of infringement' is Spain, the location 'where the offending act is committed.'" Following inter partes review that invalidated plaintiff's patent, the court denied defendant's motion to tax $23,000 in IPR request and post-institution fees as costs. "Defendant has raised an issue of first impression in this Court. But courts from two other circuits have considered this issue and declined to tax fees paid for the PTAB review . . . . [Defendant] urges the Court to adopt a broad reading of 'the Clerk' . . . because litigation 'shifts to that venue' and the IPR is a 'substitute for the district court proceeding.' The Court disagrees that the litigation 'shifted' to PTAB; PTAB merely determined the validity of [plaintiff's] patent, and this Court remained the adjudicator of the infringement suit. . . . PPG Indus., Inc. v. Celanese Polymer Specialties Co., 840 F.2d 1565, 1569 (Fed. Cir. 1988) is inapposite because the court was speaking only to the awarding of attorney fees [under] 35 U.S.C. § 285 . . . . That does not solve the problem that no statute authorizes a court to tax filing fees paid to the PTO. [Defendant] argues that it would be absurd if 'attorney fees within a substitute forum may be available, but the costs of transferring to that (more efficient) substitute forum are unreachable.' But the purported absurdity would hold for all the other deniable costs under 28 USC § 1920, and [defendant] has not made a case for why the IPR filing fee should be given special consideration."